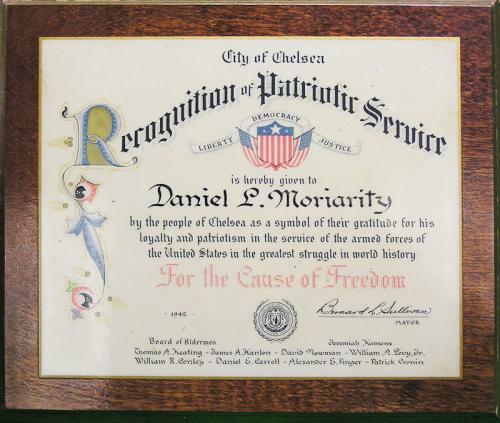 World War I Collector - WW1/WW2 Memorabilia Collection - Moriarty, Daniel L.
CM3c Daniel L. Moriarty was born on Jan, 5, 1911. He lived in the Boston area. He served during WW2 in the Pacific theater with the 23rd Naval Construction Battalion (Seabees)between August 12, 1942 and October 30, 1945. 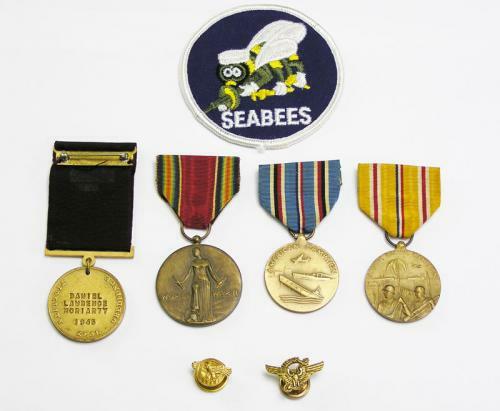 CM3c Moriarty's group includes officially named and dated Good Conduct medal, Victory medal, American Campaign medal, Asiatic/Pacific medal and a citation from Chelsea, Massachusetts, plus a Seabees patch.